In addition, all impact basins greater than 150 km in diameter have been dated and show a dramatically reduced rate of formation over time. "Findings from the map will enable researchers to evaluate potential landing sites for future Mars missions that may contribute to further understanding of the planet's history," noted USGS Acting Director Suzette Kimball in a statement. 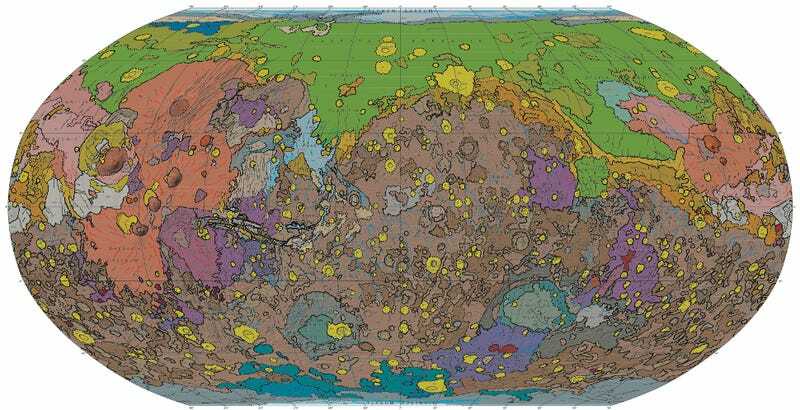 "The new Mars global geologic map will provide geologic context for regional and local scientific investigations for many years to come." Read the entire scientific paper here.